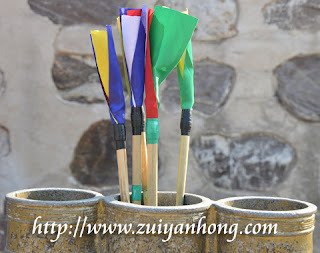 Tuho game was originated from China. 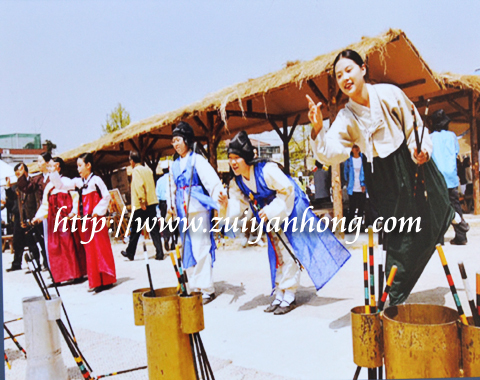 This traditional game was very prevalent in palace and officer residences during ancient time. South Korea government is so dedicated to retain and inherit the game. Now tuho game is pretty popular especially during folk festivals. Tuho game can be played in groups or individually. The game is played by throwing the arrows into the ceramic cylinder in a specified distance. The team or person with the most arrows thrown into the cylinder will be the winner.